Pacific Place in downtown Seattle is full of upscale retail stores. At this morning’s sketch outing, I decided to look at their display cases for ideas since they always feature their finest merchandise. Initially looking for red and green holiday cheer, instead I found compelling monochromatic imagery. 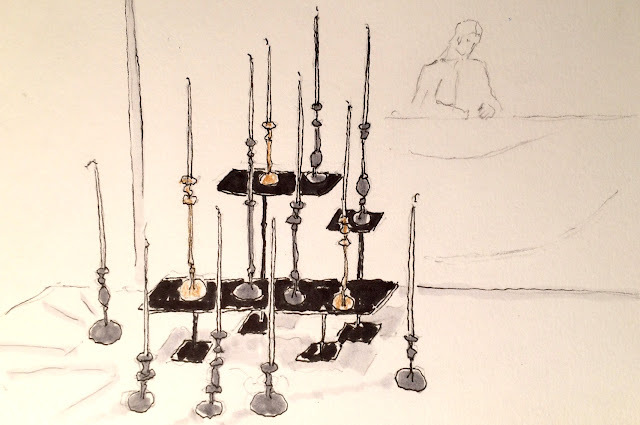 I’m always intrigued with the offerings of a favored jewelry store, and sure enough, arranged with thin, elegantly designed candlesticks and matching tapers ready to catch the light, their window was an eye catcher. Up the escalator, a bridal shop had an exquisite wedding gown in the window. 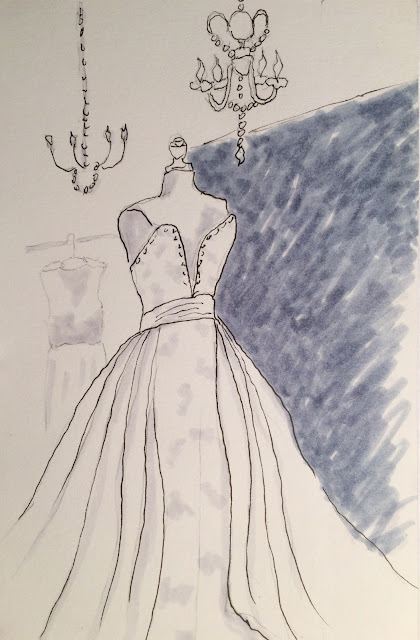 Flowing and sparkly, I think you would feel like a princess walking up the aisle in this gown. The crystal chandeliers added a touch of glamour to an already glamorous display. 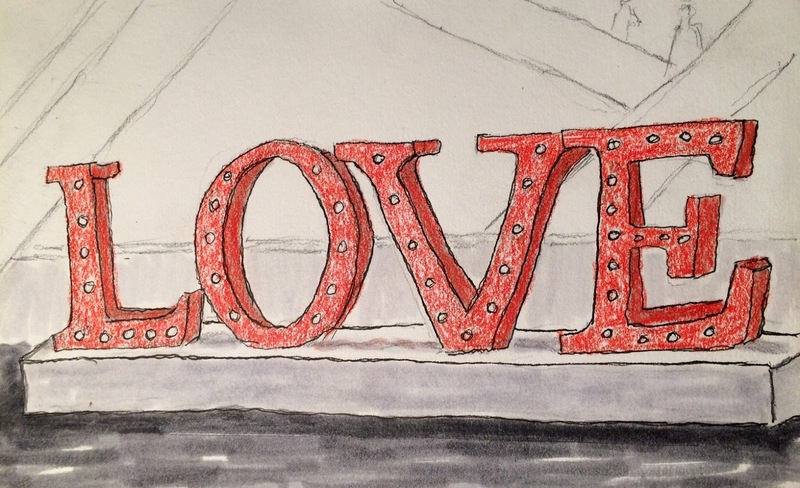 I must have picked up a theme, because my next sketch was all about LOVE. Besides love and marriage, there was seasonal love in bright lights at Pacific Place. From my perch in front of LOVE, numerous families passed me by; clearly out for the day seeing the sights, visiting Santa or gift shopping for loved ones. With live music on a stage and holiday decor, Pacific Place was a festive haven.